Intersecting contrails caught my attention, looking out from the Mohs Surgery area (above) in our Rogel Cancer Center, and recalled the clear skies of September 11, 2001, when commercial air traffic was grounded, leaving a pristine and surreal atmosphere visually and psychologically. Transient evidence of people in aluminum tubes flying through the sky, contrails are daily proof of the enormous planetary human impact. New technology, such as the flightradar24 app that Bob Gibbons showed me in Seattle last spring, gives rough details of a particular flight if you aim an iPhone at a plane in the sky. Below, taken from the Amana Colonies in Iowa last month, is evidence of Delta 3882 Canadian Regional Jet going from Minneapolis to St Louis on July 27, containing anonymous people, particularities, and myriad stories going about their business in the midwest. September is a transition month, as summertime vacations give way to serious business of autumn. 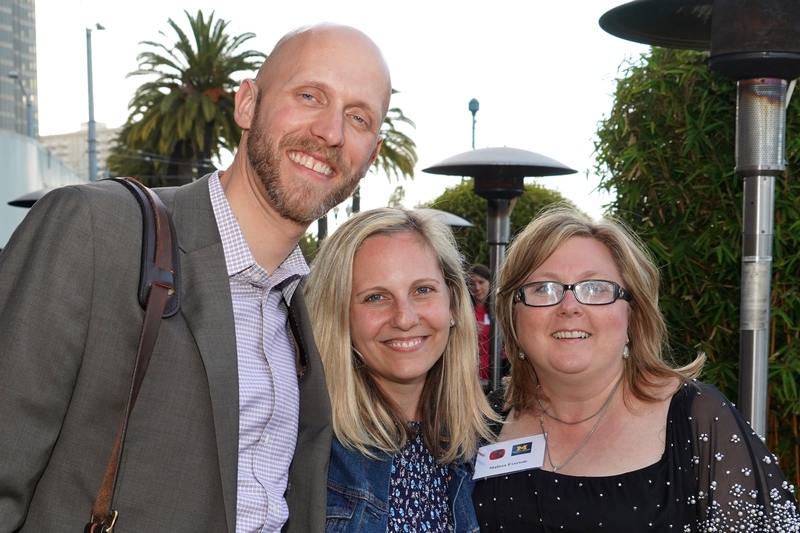 In the Medical School, academic medicine takes center stage when fall meetings convene and new ideas get shopped around world marketplaces of research, education, and clinical care. Faculty become traveling salesmen and saleswomen not only for their ideas, but also for their presentation skills, and the University of Michigan brand in general. 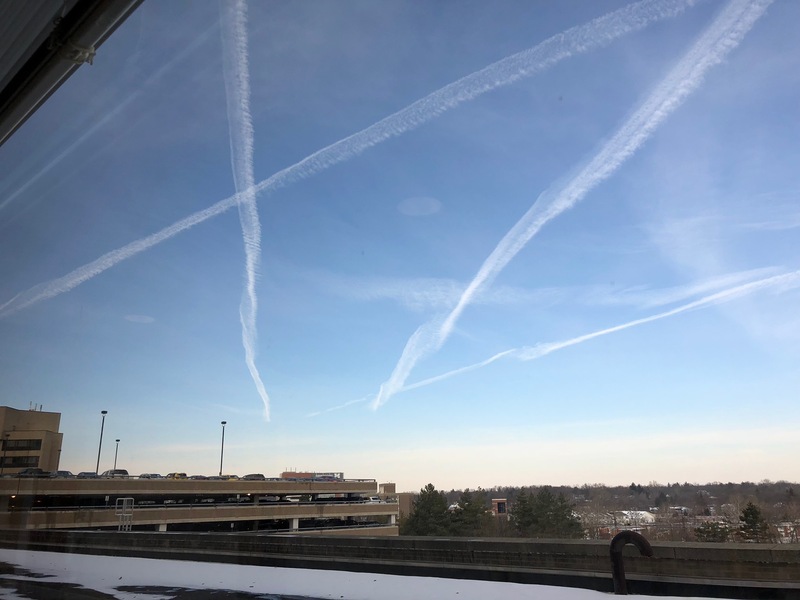 Trainees follow in those footsteps, adding to the thousands of Michigan people shuttling around in the skies at the vanguard of contrails, studying and rearranging PowerPoint presentations on laptops. 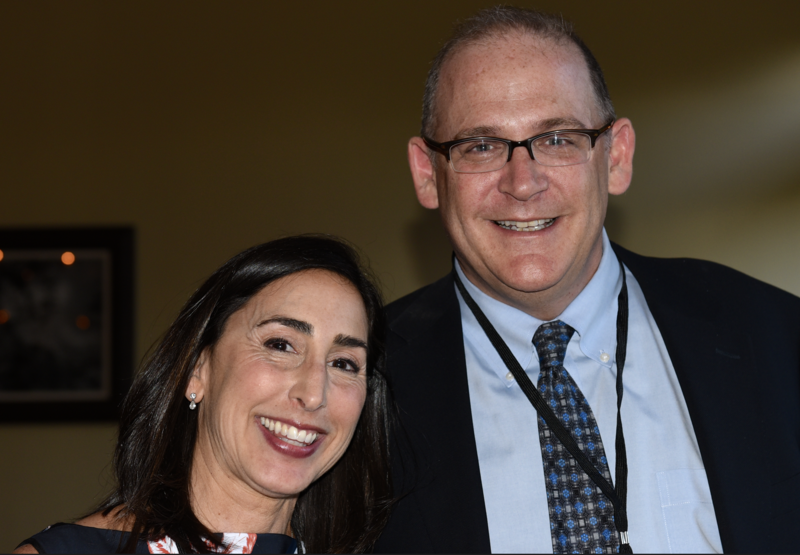 Key meetings for our faculty this fall include the Society for Urologic Oncology, the American College of Surgeons, the North Central Section of the AUA (our Gary Faerber – now at Duke – is the President), and the Society for Pediatric Urology. 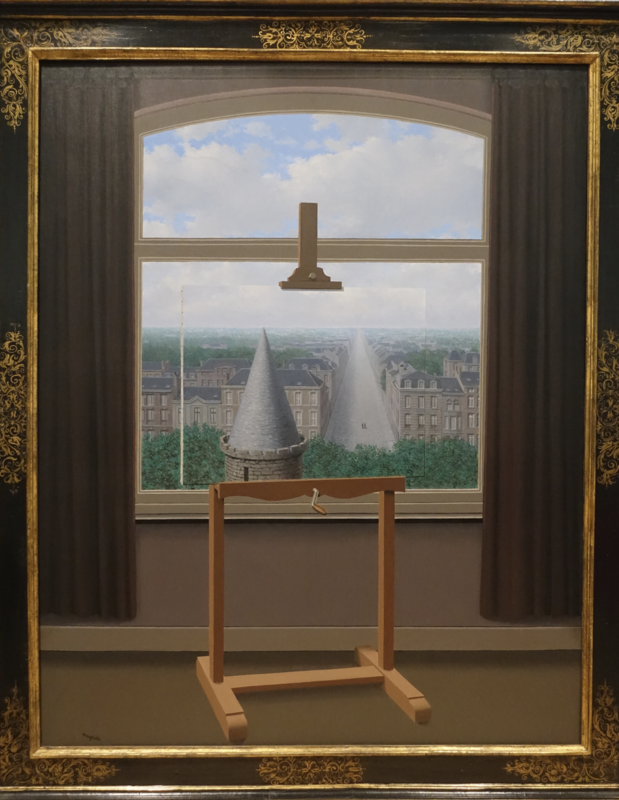 Rene Magritte, an artist who lived in and through the disruptions and transitions of 20th century World Wars, offered an intriguing view of Homo sapiens and earthly skies in two paintings he called The Human Condition. 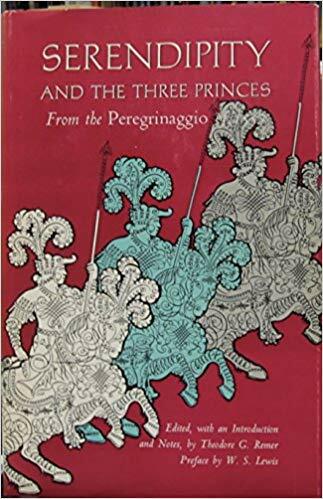 No one can know for certain what he had in mind with these, although the title hints at the rich imagination, ambiguities, illusions, and contradictions of human nature. Probably no other species looks to the skies and finds as much “content” as we do. Other life forms may, at best, derive some practical information regarding sunlight, time of day, precipitation, danger, or opportunity, but H. sapiens looks at the sky with its clouds and contrails, and builds rich imagination from excited neurons. 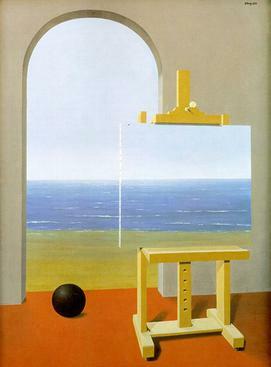 Euclidean Walks, a later Magritte painting from 1955, pursues the same idea of a painting within a painting, that is, an imagination of imaginations, joining my and your imaginations to those of a Greek philosopher nearly 2.5 thousand years ago (below). That is, Leonardo used six thousand words to consider 40 pictures, giving a word to picture ratio of 1:150, surpassing conventional wisdom of 1:1000 for the average picture. Granted that he wasn’t necessarily describing all the details of each of the pictures, as merely talking about them, but data is data so you can take what you want from the numbers. Later in the book, Isaacson quotes Leonardo from a debate in 1498 on the relative merits of arts and sciences. 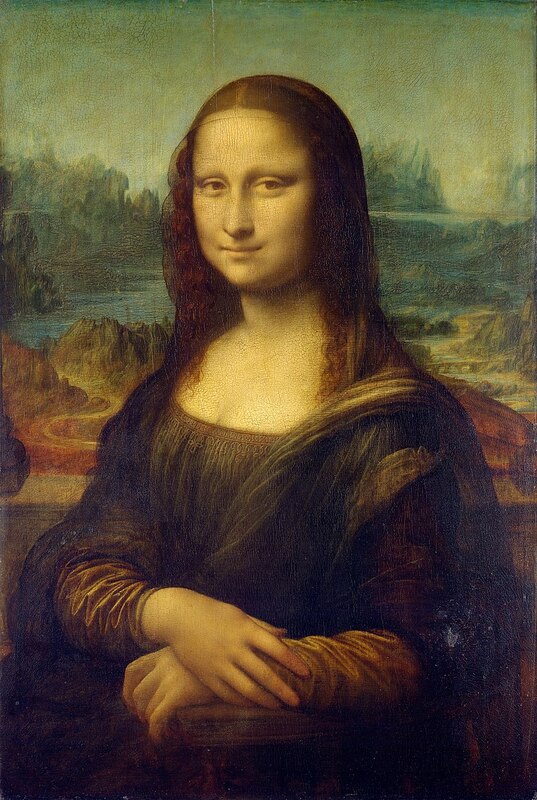 Mona Lisa (above, at the Louvre) is the obvious picture to accompany that thought. Months later I went to the library, checked out the book, and read it. Horace was correct, having instructed me once again on many levels. 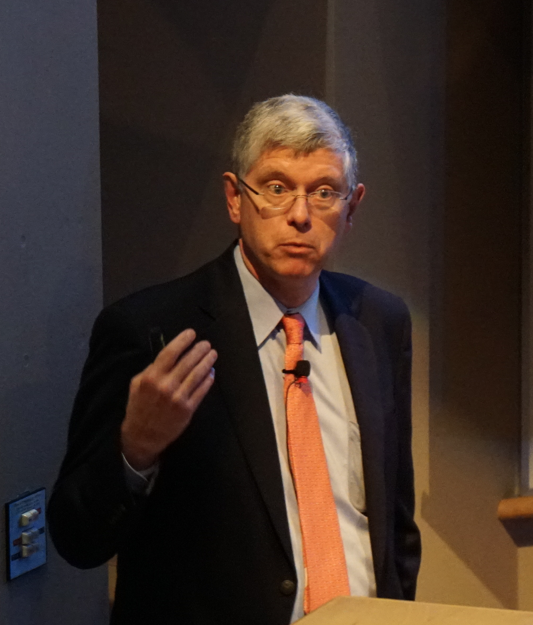 Our Medical School Center for the History of Medicine has a yearly Davenport Lecture that featured many superb speakers over the years including Abraham Verghese, Catherine DeAngelis, David Oshinsky, and Sherwin Nuland. The speaker next spring remains to be determined. Art & medicine notes. Somewhere recently I came across the phrase “human confection” and wish I could recall the source. Perhaps it was in a newspaper or magazine, but it seemed an interesting conjunction. At first thought, confection indicates a sweet food item, perhaps visually decorative as well, but the meaning goes deeper and traces back to Middle English confescioun, coming from old French confeccion, and derived from Latin cōnfectiōnem meaning “to make” or “to prepare” or “to do.” Modern usage, aside from food, pertains to the process or result of preparing or making or composing things, things that may be elaborate, amusing, delicate, or possibly contrived. This is an almost uniquely human range of possibilities, so it seems that human confection fits nicely. Perhaps this is even better than the phrase human condition, that more or less merely indicates a particular state of being. H. sapiens are singularly distinguished by the range of things they do, physically, mentally, and trans-generationally. Artists usually tell something of themselves and the world through their work. Some produce skillful representations of the real or imagined world. Others produce representations of their personal feelings. 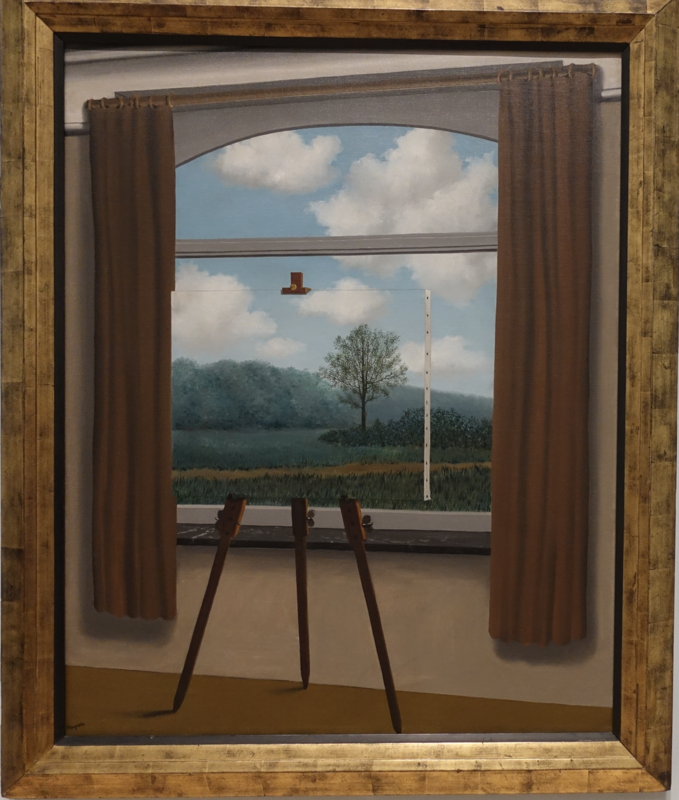 Some offer work of little immediate meaning to a viewer but, on inspection and with some effort, that work can provoke thought and interpretation, delivering valued personal meaning. Both art itself, as a generality, and medicine, as a term for health care delivery at large, are genuine human expressions of caring, opinion, belief, and observation. Both are human arts applied on a canvas of technology. Artificial intelligence is a mildly offensive term, since intelligence is a wide-ranging biological phenomenon, and taken to entirely different dimensions of imagination by human brains. Humanism, naturally, is part of that imagination: we can imagine a better world that is kinder, safer, happier, and more sustainable than the world of yesterday and today. Self-learning algorithms can’t quite do that. We can make devices that could produce a Piet Mondrian or Jackson Pollock type of work, but those works would be devoid of the human context of the artists. What people experience as a physician’s art is made better by the evidence physicians assemble and by their sense of humanity, evolving with their careers and growing with immersion in the soup of human culture, to use the term from Dawkins. We incorporated the excellent WSU faculty in our Urology Department and also acquired its clinical team and facility as a new Ambulatory Care Unit (ACU), but it is unique among the other 180 plus ACUs of Michigan Medicine in that it does not have the HOPD designation that confers payment advantages to ambulatory units unattached to hospitals. At first glance this may seem to have been an odd business decision for us, but this opportunity will force us to learn how to make clinics work in a health care world that is likely to dissolve the HOPD advantage. 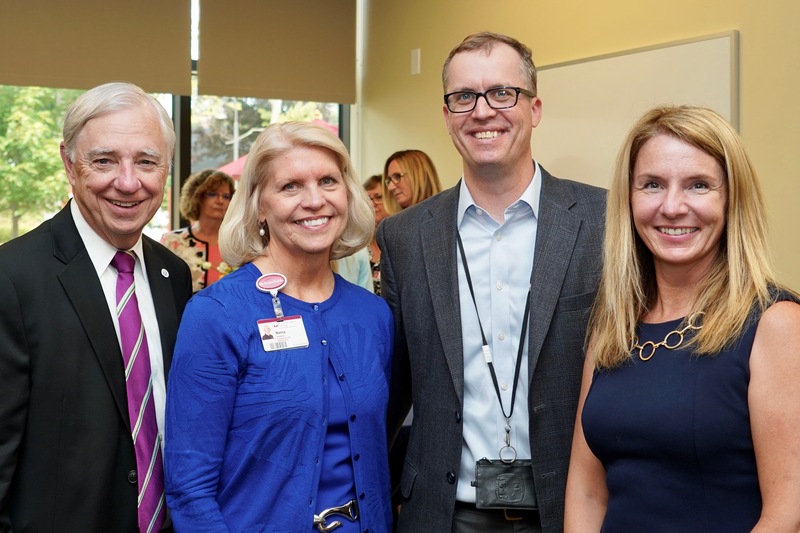 Brian Stork, beekeeper and urologist, was in Ann Arbor just last month to give a Grand Rounds presentation linking work force burn-out to adverse childhood experiences (ACEs). 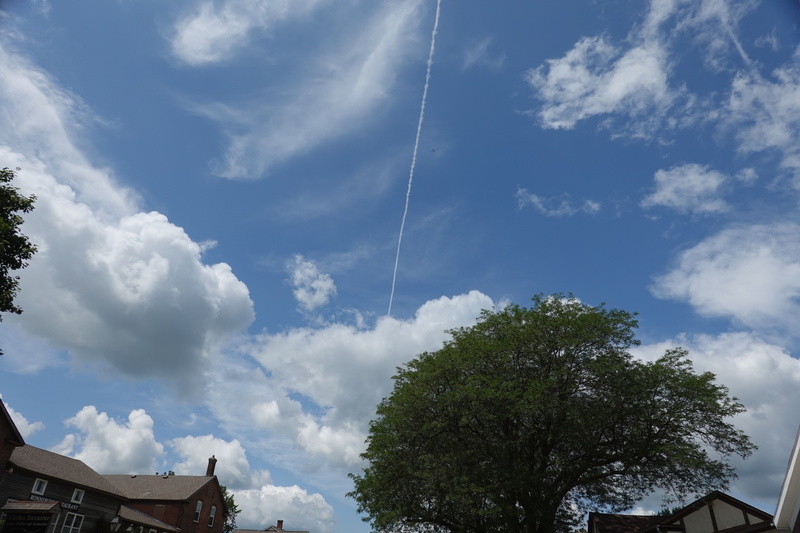 It was at his instigation that I found myself stopping for lunch, the next day, in the Amana Colonies, after I happened to fly into Iowa, explaining the contrail shown earlier. In between WSU and Ann Arbor is Metro Health Hospital in Wyoming, Michigan, south of Grand Rapids, and shown above shortly before a rainstorm last month. 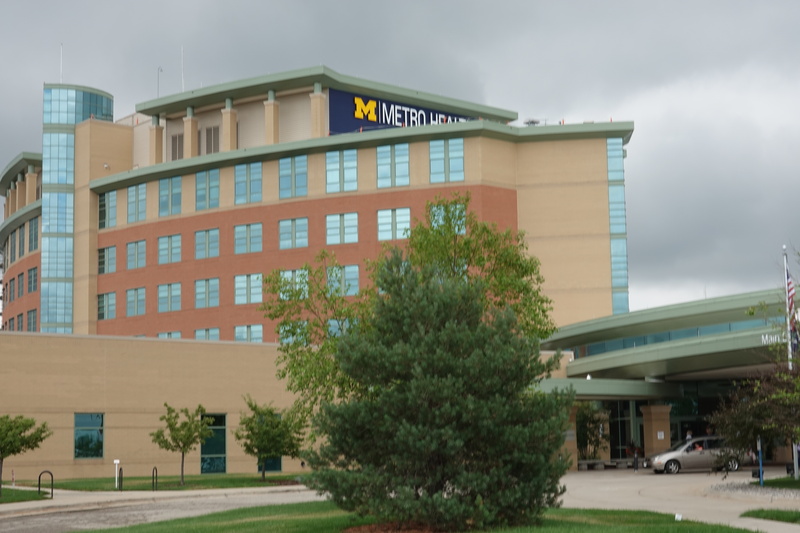 Metro Health became a part of Michigan Medicine in January 2017, and like our partnership in Muskegon, it is a part of an essential regional network. Peter Hahn was recently named CEO at Metro. Nearly all of our fellow health systems and academic medical centers in the state and nation have been networking vigorously in their regions and beyond for the past 2 decades, although we, at the University of Michigan, have been late to the process, but we are catching up. Our regional growth is sometimes viewed unhappily by other health care systems, but such is the nature of healthy competition. All patients need regional alternatives to find the right care at the right time and in the right place that best fits their individual particularities. Sometimes that best fit is with Michigan Medicine, sometimes it is not. 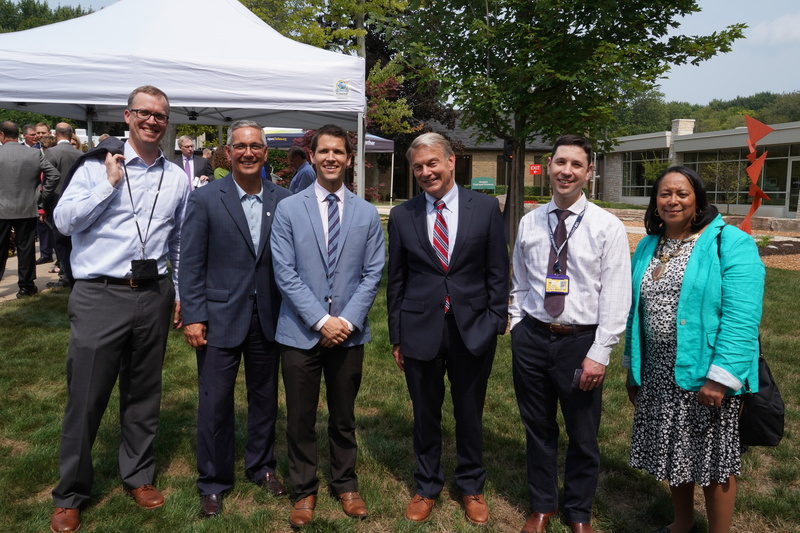 [Above: Joint Venture ceremony last month with David Miller, Rob Casalou President and CEO Mercy Health & St. Joseph Mercy System, Travis Souza, Dave Spahlinger, Alon Weizer, Denise Gray-Felder. Last month we (Michigan Medicine) finalized a joint venture with St. Joseph Mercy Health System Chelsea Hospital. 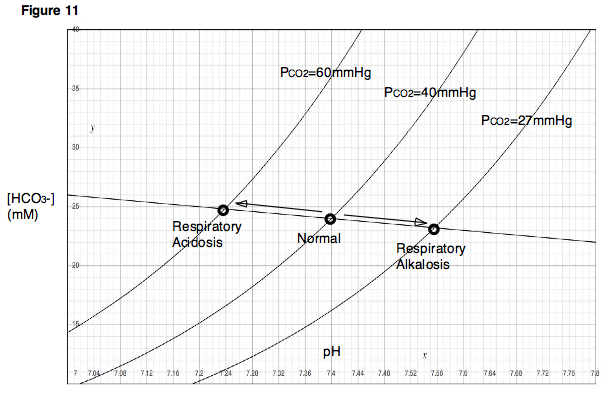 It has been implemented with Family Medicine, Surgery, Gynecology, Ophthalmology, and Urology. 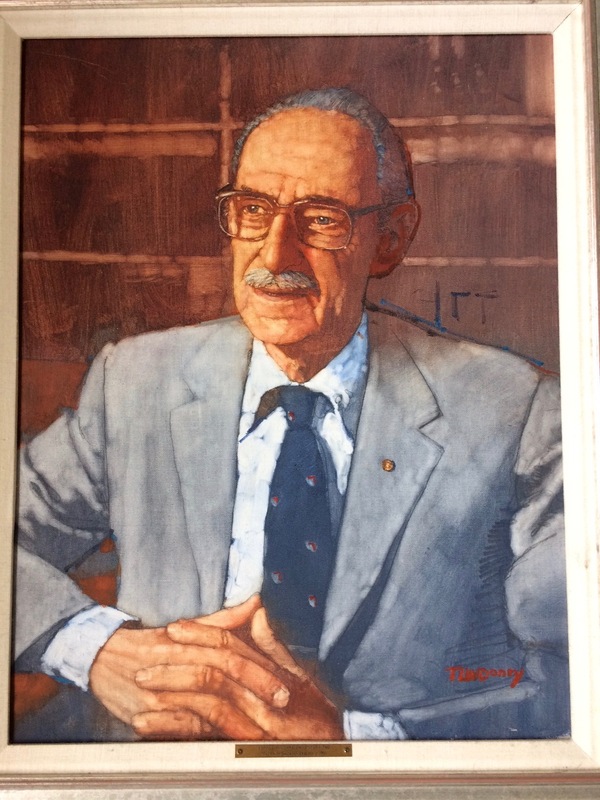 Michigan Urology has a long history with Chelsea Hospital. Howard Usitalo and C. Peter Fischer are Nesbit alumni (1986 & 1979) with deep roots in the hospital and community, now joined by Andre King and Dave Lutchka PA. Mike Kozminski from our department has held a Saturday morning clinic at Chelsea for the past 4 years. 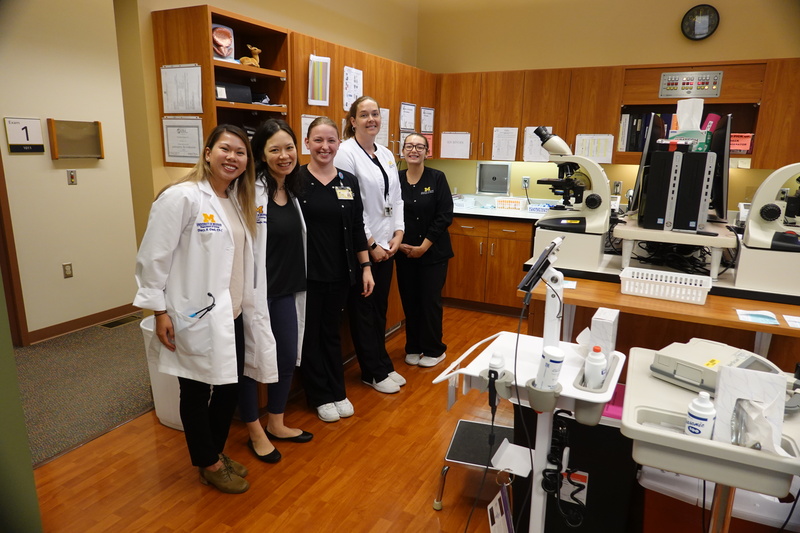 Anticipating the joint venture, Will Roberts’ Endo-urology/stone division has been active with a percutaneous renal unit aligned with Radiology and Casey Dauw has been a consistent presence in. that effort for much of the past year, along with Alon Weizer from our Uro-oncology division. Visiting professors enrich teaching programs with new ideas, novel techniques, and different teaching skills. They challenge us with new facts and ideas, and their presence builds new connections and collaborations. 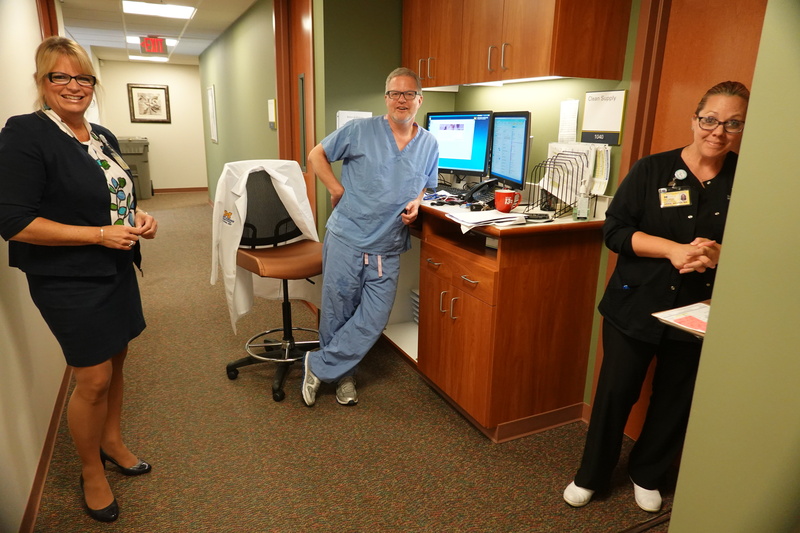 When accompanied by a partner they show, by example and in conversations, how work life and personal well-being through family are negotiated – and this is especially important to our trainees and younger faculty. Visiting professors also cost money and take time out of the working day, so we must carefully balance the academic and clinical missions against the economics of an academic medical center. A supportive departmental working culture, excellent health care system leadership, and a strong philanthropic base make this balance not only possible, but robust for us. Elusive evidence. With September, summer 2018 recedes in the rearview mirror, its pleasures having vastly outnumbered its minor annoyances, such as pesky mosquitoes, no-see-ums, houseflies, ticks, and other bugs. Even so, a recent article and letter to the editor in JAMA grabbed my attention and introduced me to the BUGG Trial. Acronyms abound in medicine, but clinical trials have taken them to a new level of silliness. Benefits of Universal Glove and Gown is the name for this trial, reported in an article by Harris et al (JAMA 310:1571, 2013), that investigated antibiotic-resistant bacteria acquisition in intensive care units. This last point hits close to home. First, single-occupancy patient rooms are implicit in the standard of hospitals in the industrialized world. Our local exception to this is most peculiar. [Simon et al. J Health Serv Res Pol. 21:147, 2016.] Second, the world-wide craze for hand sanitizers is, it seems to me, a nearly fraudulent alternative to simple hand washing, provided clean water and soap are available. The popular hand sanitizers have strong effects on the normal microbes of our microbiome and environment, but virtually no help with killer spores and mixed effects with viruses, some being inactivated while others are not. The visual theater of hand sanitization on entering patient spaces brings comfort to audiences, but the display tends to bug me if there is a sink nearby. Summer nostalgia. September Song was written for the 1938 Broadway musical Knickerbocker Holiday, and resuscitated for the 1950 Hal Wallis film, September Holiday, and again in the British sitcom May to December that ran from 1989 to 1994. Ezio Pinza, Bing Crosby, Frank Sinatra, Nat King Cole, Patti Page, Eydie Gormé, Pat Boone, Dean Martin, Jimmy Durante, James Brown, Lena Horne, Ella Fitzgerald, Willie Nelson, Dee Dee Bridgewater, and many others have recorded this classic. 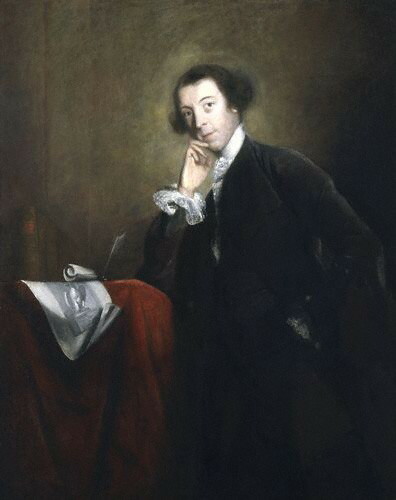 Of course, with only 12 monthly names to inspire music and movies, it’s no surprise that September gets recycled, currently in a new September Song written and sung by JP Cooper. 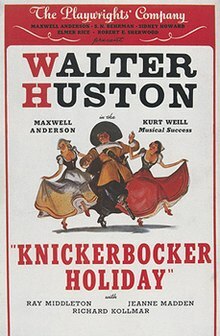 Kurt Weill composed the music and Maxwell Anderson wrote the lyrics for the classic September Song, a tune produced rather hastily for the musical production Knickerbocker Holiday in 1938. The song was made specifically for the “gruff voice and limited vocal range” of the lead actor, Walter Huston, who was playing the aged dictator Peter Stuyvesant. [Wikipedia.] 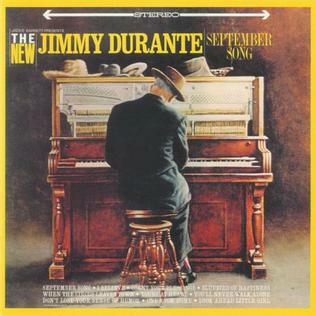 While the Broadway musical confection lasted only 6 months, the song has been remarkably durable and it is the Jimmie Durante version (first recorded 1955, album 1963) that I particularly favor, perhaps most resembling the original version in character. The actual content of the lyric and musical is twofold and dark: the specific story of forced marriage of a young woman to an elder tyrant while she loves another younger man, and the general metaphor of the September of our lifespans as framed by the monthly calendar. CORRECTION: Last month’s What’s New/Matula Thoughts contained an egregious error (corrected in updated versions), where I misspelled the name of one of my favorite authors, the extraordinary John McPhee. My apologies to you and to him. It’s not so much that I blew the fact as that my brain and keyboard translation fumbled, as seemingly happens sometimes in this September of my career. Perhaps this is a new disorder one might call dystypia, a fumble less infrequent than revealed by these edited pages.